Agile Approach to Salesforce Implementation and Development. 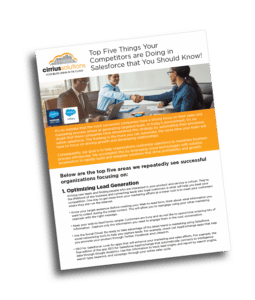 We utilize a robust consulting methodology, developed over the course of numerous successful Salesforce implementations. It is based on an agile, iterative, team-based approach to solution implementations that use a workshop model to involve our Salesforce domain experts in design and decision-making. This process is made up of 6 phases: Discovery, Design (Business Architecture), Development, Quality Assurance, Deployment and Ongoing support. Cirrius Solutions’ internal organizational structure fosters the development of organizations by utilizing domain expertise in the following areas. Strategic Technical Assessments are designed to provide your organization with the information you need to analyze your budget, potential solution, timeline and business processes to ensure an effective technology deployment. Each of our technical assessments includes the key deliverables needed for a well-researched report which you can distribute to the decision makers within your organization. The result is enhanced clarity of perspective, direction, scope and budget related to your technology goals. Budget: No technical assessment would be complete without a budget. Our tech assessments include a bid and scope to help you plan your budget accordingly. Most importantly, they provide you with traction on cost, which allows you to effectively shop for alternatives. Solution Selection: Cirrius Solutions will help you identify cost-effective solutions that suit the needs of your organization. Timelines: Timelines are essential to any project deployment. Staff­ availability, budget distribution and project deadlines must all be considered for an efficient project deployment. Our timelines include those factors and provide them in a straightforward format that’s easy to read and reference. Design Architects, have hands-on experience designing and creating the architectural recommendations for a given solution. We use best practices documentation required to define and support that architectural recommendation. Through one-on-one interviews and workshops with key users and stakeholders, we develop a clear understanding of your goals on three levels. We focus first on your business goals and the key processes and workflows to support these goals. We then look at how these processes and workflows are best implemented in application terms. 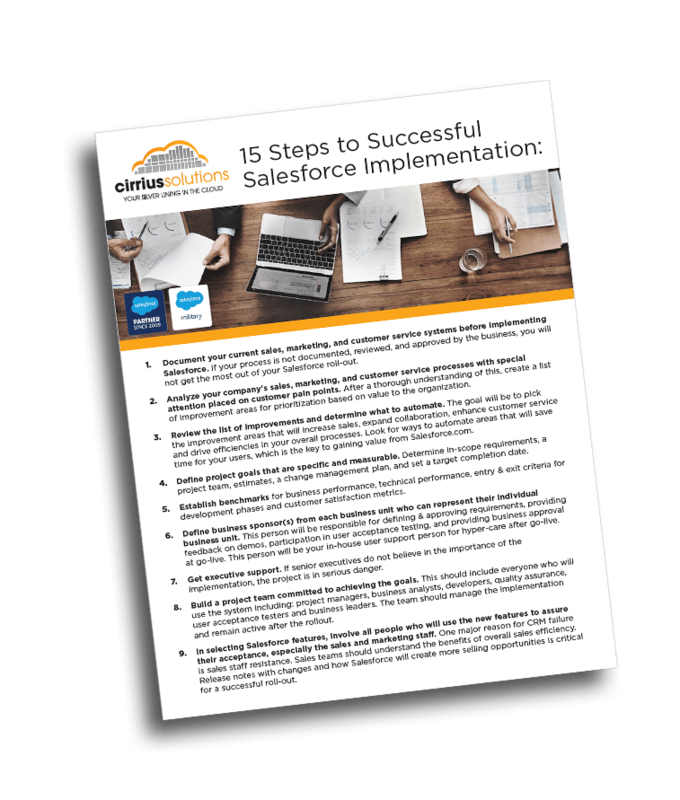 Lastly,we look at how these processes and workflows will specifically map to Salesforce™ and where there are gaps. Only when we have developed this comprehensive understanding of your business do we go to work. The first major deliverable of the Cirrius Solution Methodology is your Project Workbook, a living document that details your project specifics, including needs and target functionality and the gaps in your existing solution. In the Design Phase, Cirrius Solution teams meet with your subject matter experts to drill into your business process and workflow needs in a series of functional workshops. In addition to understanding the business functionality we can migrate your legacy data and develop any system integrations that are needed so you can incorporate into your final solution. During these functional workshops we review the solution with your business users to ensure the highest quality outcome. A subset of your data is loaded giving your business users a hands-on experience to give us real-world feedback. Armed with this feedback, we fine tune the functionality and workflow of the solution to meet your operational needs. We also focus on ensuring that your new business environment will be easy to use. We are serious about reducing your infrastructure cost so we provide services to develop your Enterprise Applications or Salesforce CRM add-ons on Force.com which is a 100% cloud-based service and doesn’t require any investment on infrastructure apart from an internet connection. Our focus is to always focus on the most cost-effective methods in order to minimize the cost to our clients. Using this method we build applications which are customized, flexible and robust. We provide end-to-end support from understanding the business processes, documentation, development and deployment. Our application development framework is based on the industry standard quality processes like CMM & Agile. When all of the key functional, workflow and usability changes have been configured into the software we conduct systems and user acceptance testing to ensure that your highest priority business goals have been met. When we are positive this has been achieved we rebuild your solution to ensure optimum performance. As we roll-out the system to your users, one significant benefit of the Cirrius Solutions approach is that your power users are already familiar with the solution and have bought-in to design and usability decisions as a result of the process we follow. This enables your power users to train their colleagues and, in our experience, significantly accelerate user adoption. Our testing methodology includes expertise in functional, integration, regression and performance testing services. Our dedicated talent pool of QA professionals work around the clock using proven quality testing processes to provide the ideal testing services to our clients. Our testing approach has a strong product orientation and incorporates industry best practices. These processes have matured over years of testing assignments, executed for clients across the Globe, using the dual shore and extended team model of engagement. These processes have benefited considerably by feedback from our clients as well as our own experiences. Our team has expert deployment services and will adhere to all Salesforce.com code compliance policies before migration. We will deploy all configuration and users from Sandbox to the Production org in just a few quick steps. Once all of the Salesforce.com customizations have migrated we will perform one additional validation to ensure that everything is working as expected before we send the final activation to the new users. We understand that the key to our clients success is not just implementation but even more importantly the ongoing support to ensure best practice system usability. 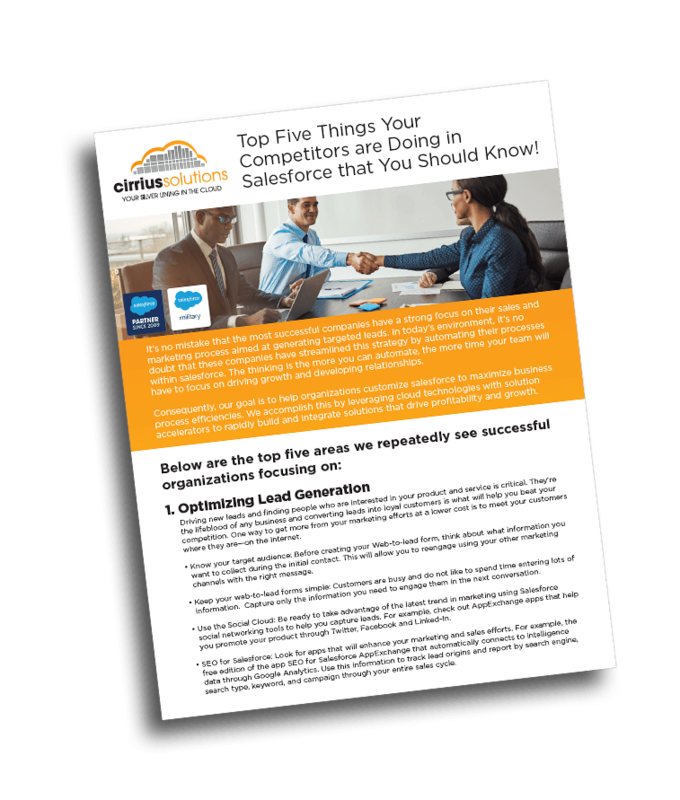 As our clients work hard on growing their respective businesses we are here to assist in supporting your new salesforce.com application. Our team of certified technicians can provide a wide range of systems administration and support services (on demand) freeing you to focus on your core operations and do what you do best. You’ll get the quick response times you need, without the ongoing expense involved in building and maintaining your own internal support team. So whether you are an existing client or are looking for services to complement a CRM application installed by another vendor, we are here to help. We also offer a customized on-site, hands-on training sessions and a monthly administration subscription allowing you to focus on what is most important – your business.